To Newborough Forest with The Naturalist, on a very cold but dry day that turned into a beautiful evening. The Forest is home to a large roost of ravens. It's smaller than it used to be, but still very impressive. They are in themselves fascinating and impressive creatures. I learned that they are a very succesful, strong and intelligent species, and much besides about how and why they roost as they do, until each of them finds a feeding territory and a mate of their own. On an expedition such as this, it's generally the whole field of understanding that appeals to me; it matches my romantic feelings about landscape and the turning seasons. I'm too lazy to stay long with meticulous detail. So it's the echoing croak of the ravens coming in to the roost; the last of the light and the gleaming presence of Venus; the faint sighing in the pine trees from the lightest of breezes. That sort of thing, rather than careful investigations. The Naturalist too expresses a strong aesthetic sense, but it stands upon and feeds off a truly remarkable body of knowledge. It's the sort of knowledge that can lead to wisdom. Notwithstanding my unscientific approach to the natural world, I did develop a new understanding of the importance of detailed, painstaking and very specific research. If I mention that an important part of The Naturalist's work was analysing the regurgitated pellets round the base of the raven's roosting trees, you'll perhaps see what I mean. Apparently, by recording where individual ravens came from around the area, to roost in the Forest at night, and then analysing their pellets, it became evident that one function of the roost was the exchange of information about good feeding areas. 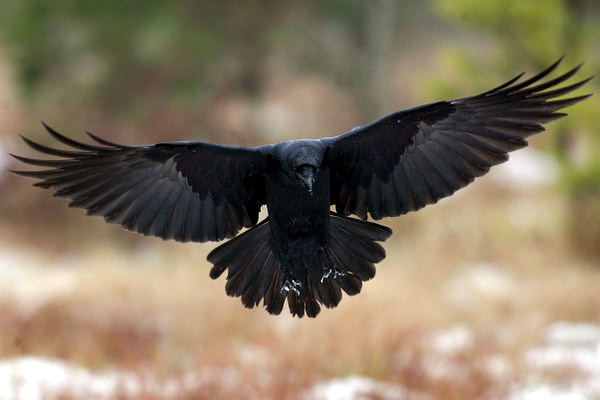 Our insights into the degree of communicative understanding and problem-solving of corvids in general and perhaps ravens in particular has grown rapidly in recent years. No wonder humans can train them to talk; they already do, to each other. 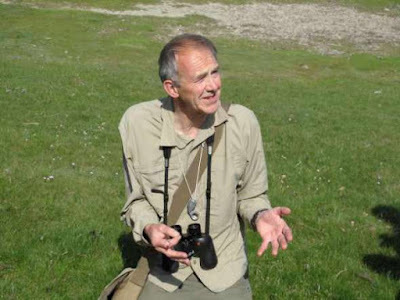 The Naturalist is right there amongst those who have worked to explore such remarkable and inspiring new understandings of the life-forms we share this planet with, and to communicate them exceptionally well, even to an unrigorous dreamer like me. I hope I've explained just a little why, on this expedition with The Naturalist, I stood in the forest gloom looking at Venus, my back to a pre-Cambrian rock outcrop, raven's croaks echoing round us, and felt that brief but blessed sense of being at one with Everything, the Everything that mystics have sought to guide us towards. 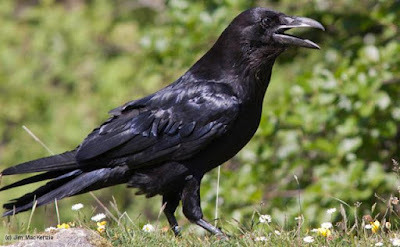 Strange that although "the way that can be walked is not The Way," on this occasion the way through the cold dark woods to look at the regurgitations of ravens was, for a few moments (it's always only for a few moments) "the real Way."